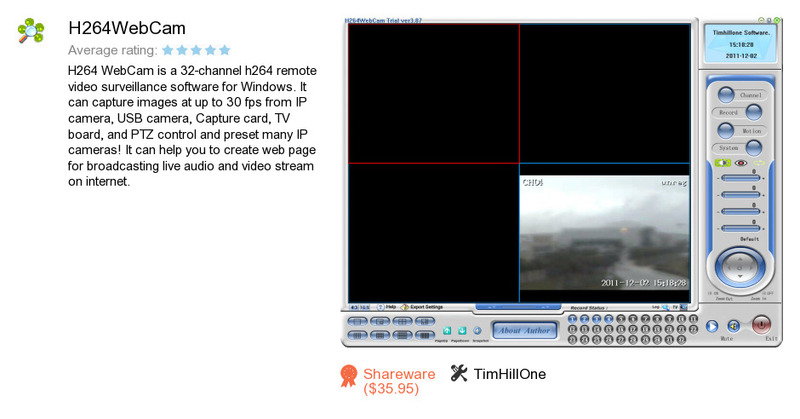 H264WebCam is a program developed by TimHillOne. We know of versions 4.0, 3.8, 1.0. Version 4.0 is downloadable at our site. H264WebCam installation file has a size of 5,127,162 bytes. TimHillOne also publishes H264WebCam ver3.55.